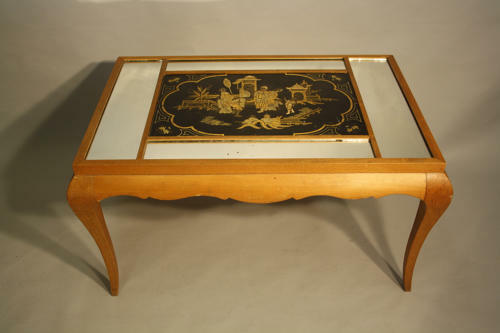 A very interesting sycamore wood coffee table with inlaid sections of mirror glass and a central Chinoiserie lacquered panel. Very much in the manner of Rene Prou in shape especially the scalloped skirted edge. French c1940.